The big hit present for boys in the 1960s was a reel-to-reel tape recorder. Your first one was usually a little battery-powered unit. If you made good use of it throughout the year, and had parents with enough money, a larger, more reliable, mains-powered recorder would arrive the following Christmas. The “good use” of the tape recorder was hard to define. The first thing to do was to record your friends chatting and telling off-colour (for the times) jokes, then play it back to general hilarity. Once that phase was over, you either mostly abandoned the device, its use spent, or combined it with another hobby. Trainspotting has always been a big hobby, and the 1960s saw the notebooks supplemented by cameras and tape recorders. Tapes full of the sounds of steam engines, local shunting and new electric trains sparking are now added to back to contemporary photographs and cinefilm to recreate those times. For pop music fans, the Top 40 on the off-shore stations or Radio Luxembourg could be caught, the DJ edited out and the records preserved for listening to later without the expense of buying singles. 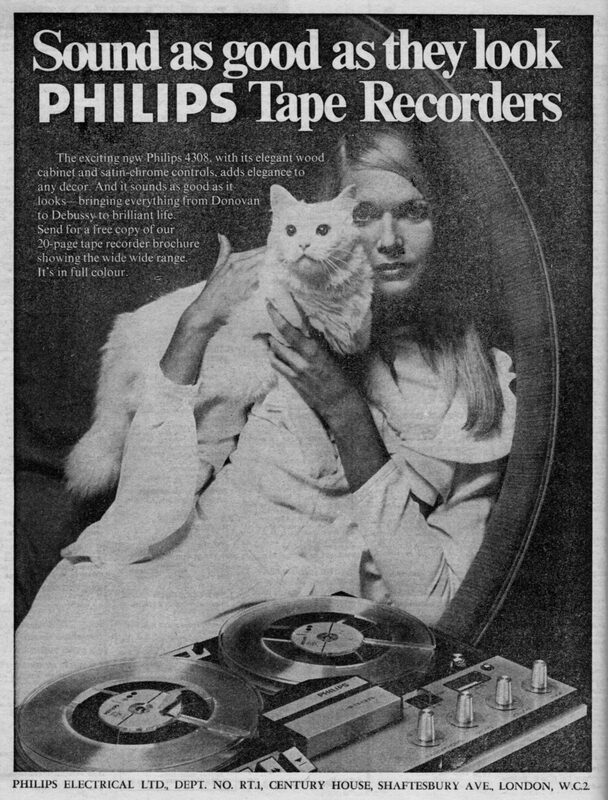 The money saved could be put towards buying the reel-to-reel tapes your were recording the records on. For school drama and music clubs, owning a reel-to-reel made you important and gained you promotion: now somebody could record the concert or provide amazing sound effects for the play, things guaranteed to create popularity. Or you could do what I did: obsessively record theme tunes, jingles, television continuity, DJ chatter, idents and interlude music, put the tapes on a shelf and rediscover the gems within some 50 years later. Kif Bowden-Smith loved growing up in the 1960s. During that decade he founded the Transdiffusion Broadcasting System, still extant today, and built the archive you're looking at now. He worked for Brian Epstein's NEMS in the classical department but never met The Beatles.